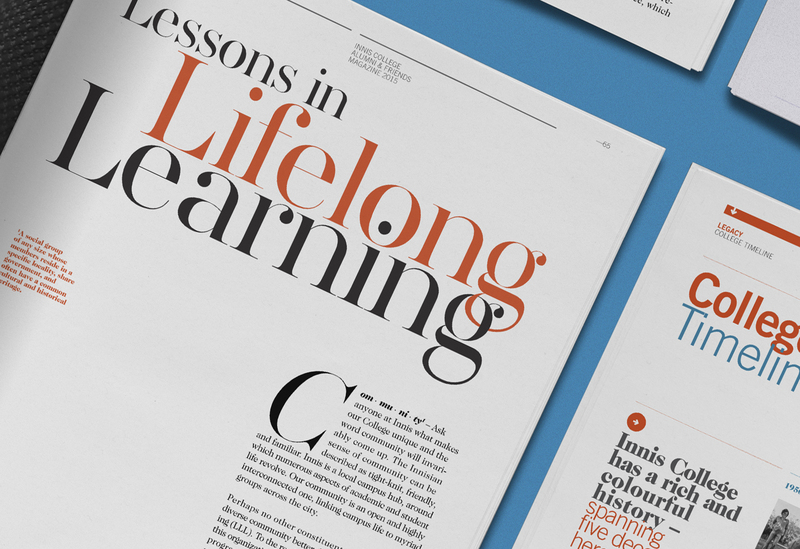 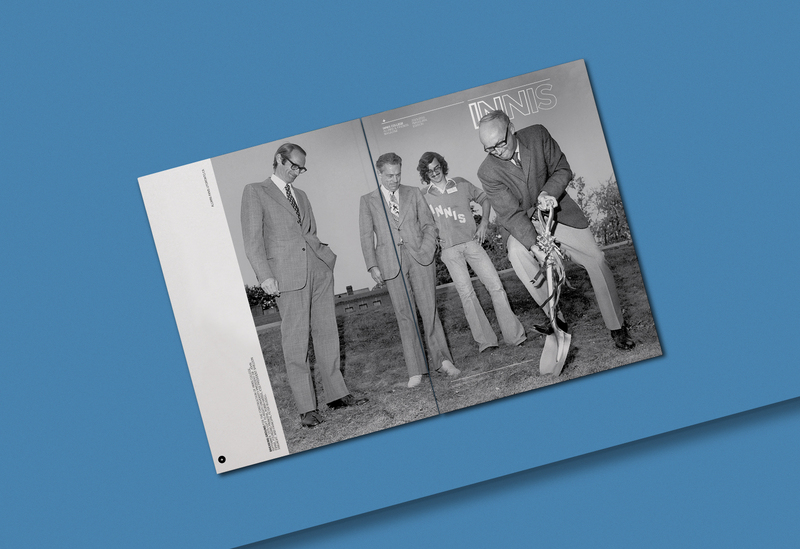 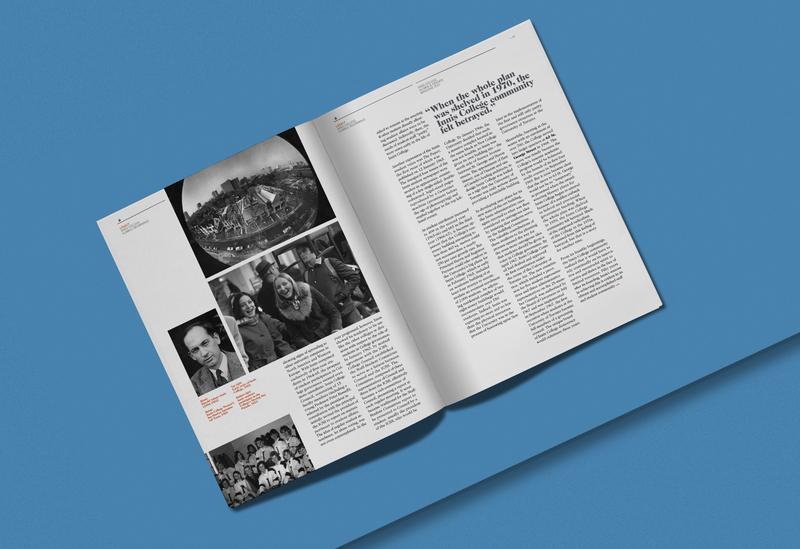 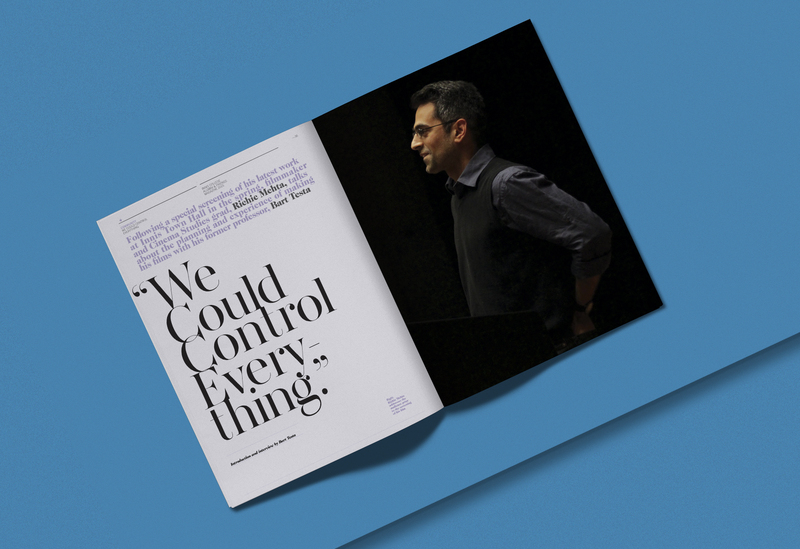 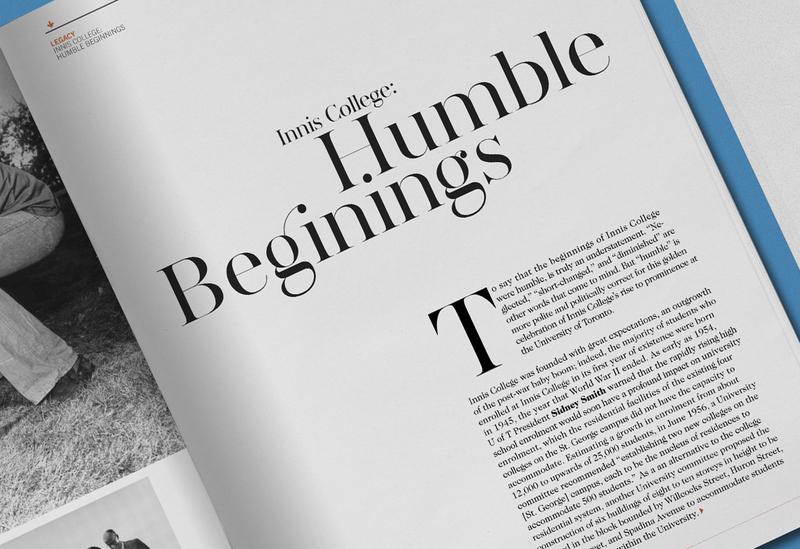 typotherapy was commissioned to design and develop INNIS magazine to help celebrate the colleges’ 50th anniversary. 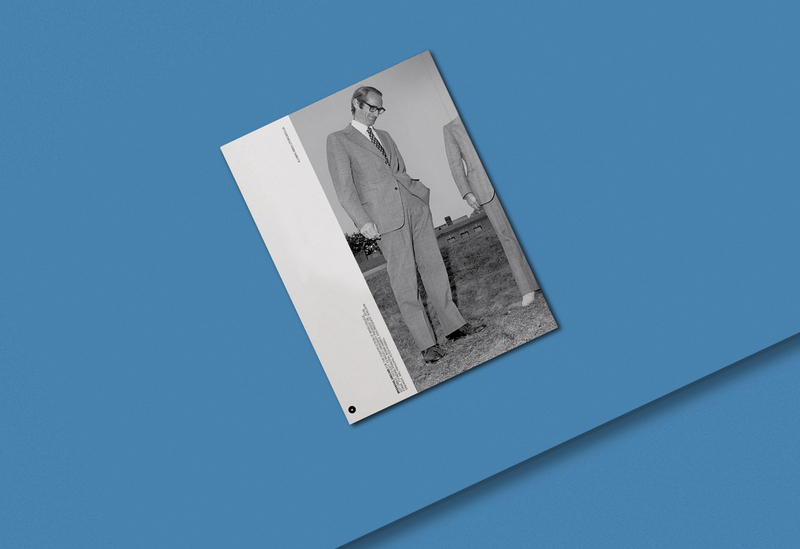 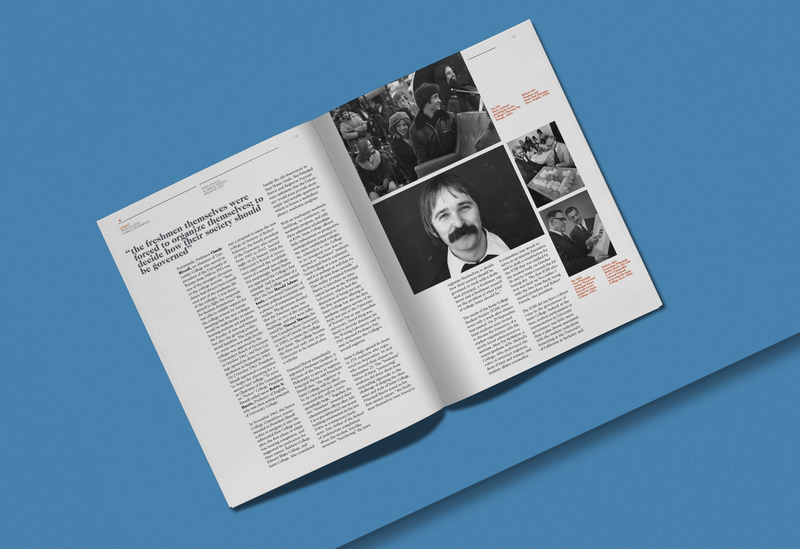 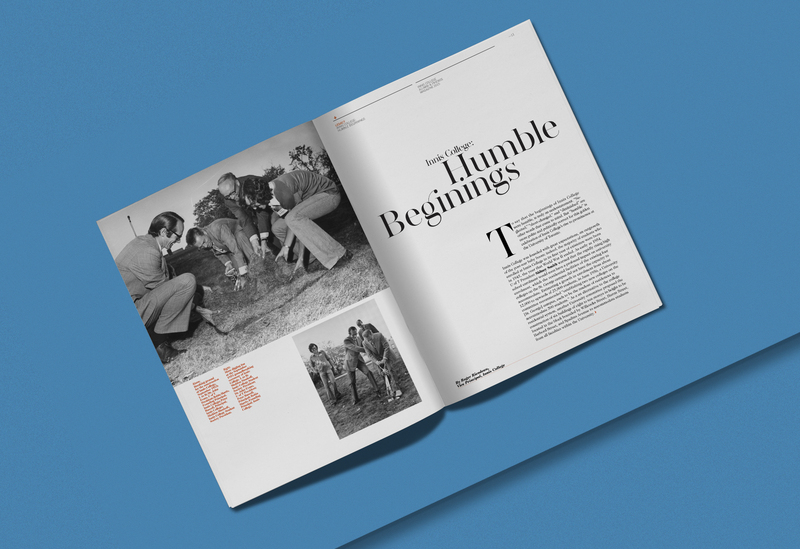 Working closely with students and faculty, typotherapy developed INNIS magazine from its conception, together with its visual identity, and its expressive features. 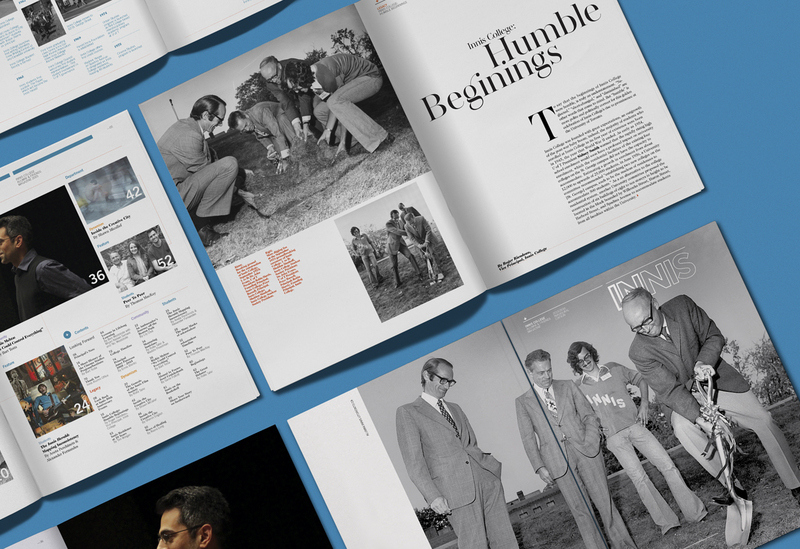 The design embraces a clean modern magazine esthetic, features custom typefaces and overlapping, intertwining typographic title treatments. 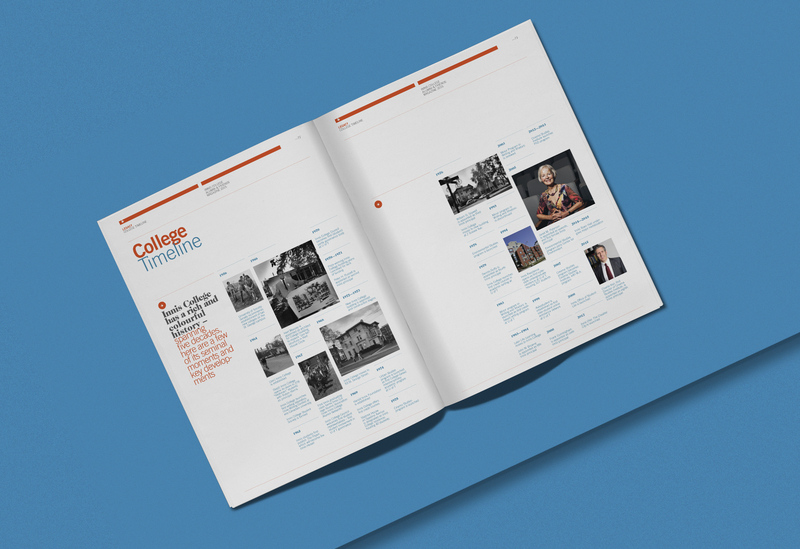 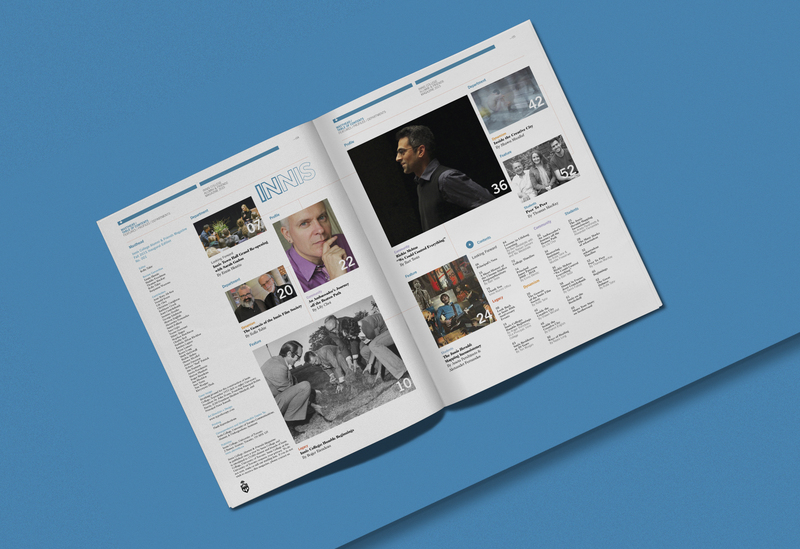 The new design also includes an editorial grid system, a very modern typographic approach for each article, while establishing a tone that captures the college’s humble beginnings, and many of its accomplishments for the last five decades.